Have you purchased a new TV or dryer that simply wont fit on the floor? Would you prefer it hung on the wall? We can install your appliance from a simple socket outlet connection to HDMI, FTA TV, Audio and other tv or projector requirements. Contact us for a comprehensive service. We are qualified electricians ensuring that not only can we hang your appliance – we can also take care of any other cabling needs which may arise during the process. Our electricians can ensure that your appliance is hung in the correct location – straight and level – and well secure. Any additional cabling or outlet requirements can be met on the day due to all of our staff been electrically and data AV qualified. 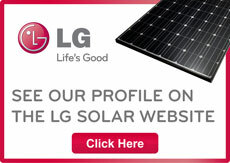 How to Compare Solar Companies? Ecoelectric were great. They answered our questions via email promptly, and we were able to get a replacement inverter within a week. They turned up slightly early, and were professional, leaving no mess or rubbish behind. Wow these guys know what they are doing. I have delt with a few solar companies now and Ecoelectric are by far the best. cannot fault their work at all and the system works better than when initially installed by someone else. highly recommend Jeff and his team.